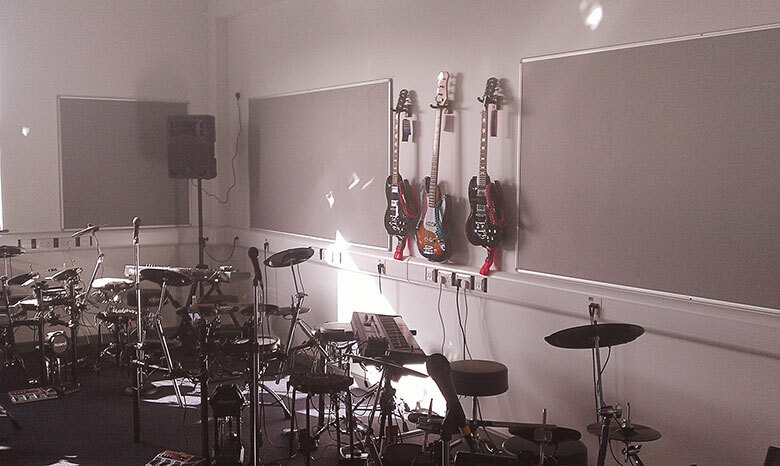 After connecting with Mix Music Education in 2010, JamPod™, was added to the schedule of work for their new build. Mix Music Education liaised with the contractors and local authority officers to ensure all was installed and ready when Llanwern High School opened in early 2012. 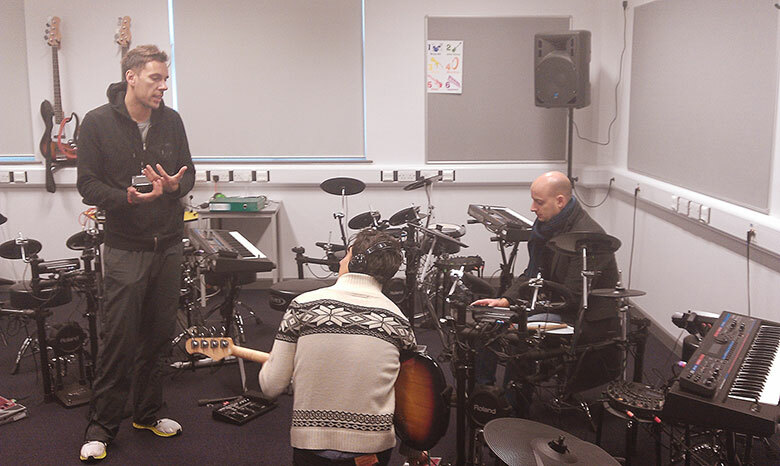 HOW DID YOU COME TO ENGAGE WITH JAMPOD™ AND MIX MUSIC EDUCATION? The schools peripatetic drum teacher first told me about JamPods a while ago, at first I found them hard to envisage with mental images of actual Pods. Dan Jones contacted me not long after and explained exactly what JamPod™ was and did. HAS THE NEW APPROACH ENABLED YOU TO TACKLE CHALLENGES PREVIOUSLY DIFFICULT TO OVERCOME? Absolutely, in particular I have found additional learning needs classes engaging and participating in music lessons fully. National Curriculum levels have improved at every Key Stage and ensemble performances and compositions are now easily accessible. HOW HAS JAMPOD™ AFFECTED YOUR OWN TEACHING? 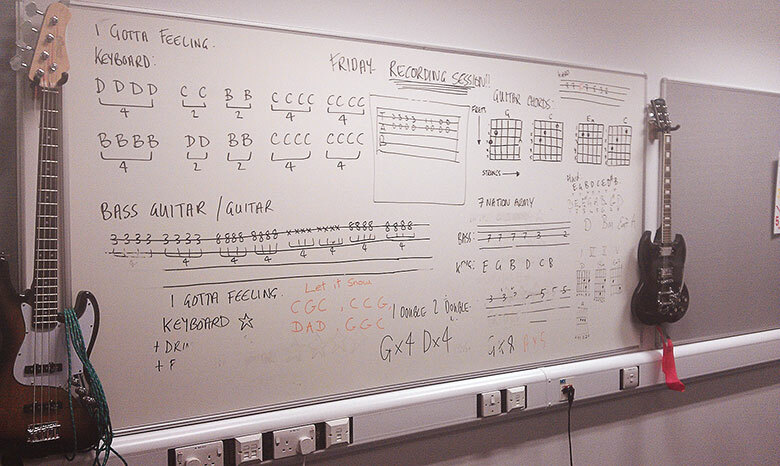 It has allowed me to teach in the hands on active way I have always wanted to (but sometimes found difficult due to lack of appropriate resources) and make music lessons engaging and enjoyable. WHAT ARE YOUR FAVOURITE FEATURES OF JAMPOD™? I have many favourite features from being able to listen to individual groups through controller headphones to the ease of pupils being able to demonstrate to one another. I would say the whole package and the kinaesthetic way pupils can learn and interact with each other is my favourite feature. HOW DO YOU SEE JAMPOD™ IMPACTING ON THE SCHOOL COMMUNITY AS A WHOLE? We have already featured JamPod™ on well-being days, rock school club has now started and the use of JamPod™ in peripatetic lessons has allowed tuition on all instruments to be far more accessible. 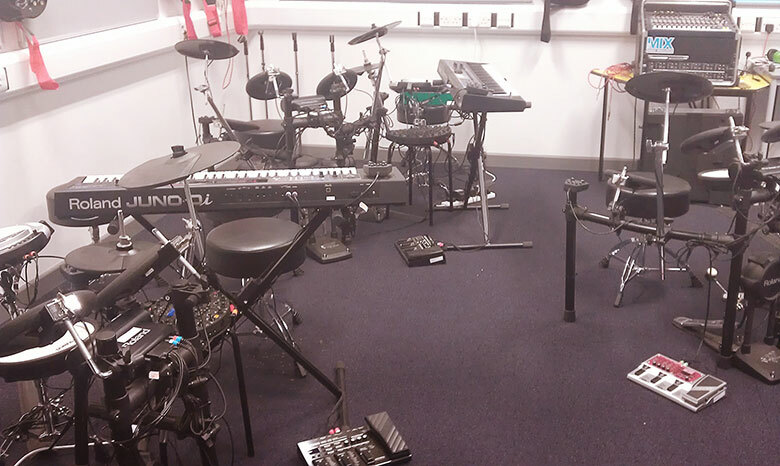 Music has seen resurgence even with more traditional instruments in our school; this is partly due to the enjoyment JamPod™ has brought to pupils in music lessons. Ideas to have several rock bands in a range of year groups are underway and even plans for staff team building days are afoot. WOULD YOU RECOMMEND JAMPOD™ AND MIX MUSIC EDUCATION TO OTHERS? Yes I highly recommend JamPod™ and Mix Music Education after seeing first-hand the benefits it has given my pupils and the school community.